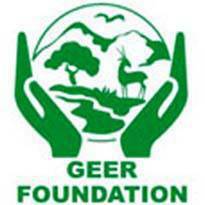 GEER Foundation, Gandhinagar has published Advertisement for Junior Research Fellow (JRF) & Technical Assistant (TA) Posts 2018. Other details are given below. How to Apply: Interested and eligible candidates may appear for Walk-in-Interview which will be scheduled at the office of GEER Foundation, Gandhinagar as per aforesaid date mentioned in last column at 09.45 A.M. with a covering letter indicating post applied for, latest Curriculum-Vitae & Photograph, all original certificates for verification, experience letter (if any), ID Proof, and one attested photocopy set thereof. Candidate with incomplete documents will be disqualified for further interview process. No TA/DA will be paid.